We want to take the opportunity to share with you more about Five Capitals. Specifically, who we are, what we do and how we do it. We’ve put together a short video explaining this below. 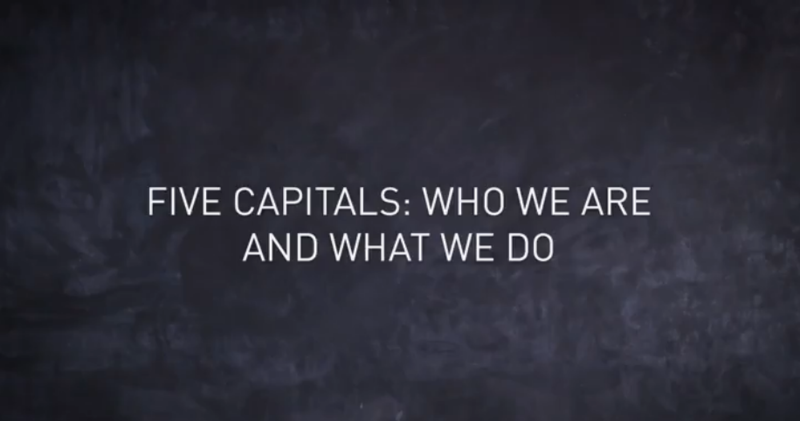 At Five Capitals, we are passionate to work with leaders like you to help you reach your potential, meeting you where you’re at, and listening to your hopes and dreams. Our focus is your potential and helping you to get there! Over the next couple months, we’ll be sharing more in our Chalkboard Video Series. We’ll give you examples of some of the tools that we use. We’re excited to enable you go after ALL of your potential. We want to help you and your team personally and your company professionally. Feel free to contact us for more information or next steps! Excellent in every way — as usual! Praying many organizational managers and leaders will turn to Five Capitals for healthy, biblical encouragement and support!